When companies implement The Great Game of Business, managers are often expected to get up to speed quickly. They’re asked to teach things they may not know and share information they’ve always kept close to the vest. 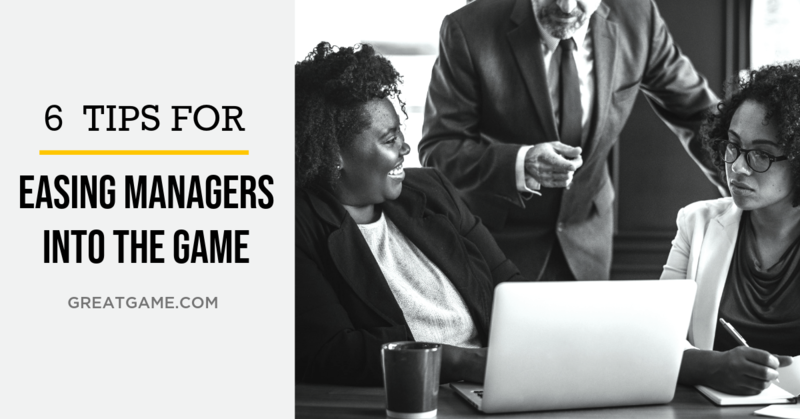 They’re also expected to change their personal management style, often abruptly. In this situation, it shouldn’t be surprising if some managers leave and the rest feel threatened, confused or angry. Chances are they’re all asking themselves the same question: “As employees learn more about the business and take more responsibility for posting good results, then what’s my role?” Meanwhile, they’re being peppered with questions from the front line: “What’s all this about, anyway? Do we really have to do this?” If your managers shrug or answer cynically, your program is over before it starts.